Dr. Kevin Blumenthal is a Maryland-based, board-certified physician specializing in hair transplant surgery and urology. 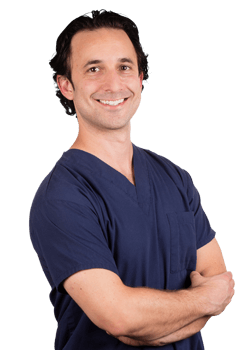 Dr. Blumenthal graduated from The University of Virginia in 1998 with a Bachelor of Arts in Biology and a premedicine concentration and then received his Doctor of Medicine in 2003 from the Eastern Virginia Medical School in Norfolk, Virginia. Dr. Blumenthal completed six years of residency training in both Urology and General Surgery at The George Washington University in Washington, DC. His research topics have included chemo-ablation focal therapy for prostate cancer at the National Institute of Health in Washington, DC, as well as cryotherapy for non-invasive bladder cancer at The George Washington University. Additionally, he participated in antigen research with the Allergy and Clinical Immunology Division of the University of Virginia Health Sciences Center while at the University of Virginia. In the years succeeding his research and residency, Doctor Blumenthal served as a urologic surgeon in Columbia, MD for Central Maryland Urology Associates and Chesapeake Urology Associates. 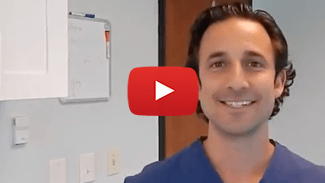 Dr. Blumenthal was initially drawn to the field of hair transplantation after witnessing the amazing results achieved by his medical school friend Dr. Matt Huebner, a world-renowned hair transplant surgeon and founder of Natural Transplants, Hair Restoration Clinic. Well-trained by Doctor Huebner in the cutting edge HUE (High-Yield Unit Extraction®) Method, Dr. Blumenthal is excited to bring the quality reputation and world-class results of Natural Transplants to Bethesda, Maryland and the greater Mid-Atlantic Region. Dr. Blumenthal was born and raised in Northern Virginia and currently lives in Washington, DC. He enjoys outdoor activities, playing guitar, and spending time with his wife and children.